A degree in chemistry from Frostburg State University is your key to a career full of engaging challenges and innovations that can help the entire world. With three concentrations to choose from, Frostburg can prepare you for a variety of careers in medicine, biomedical research, pharmacy and industry positions, or you can take advantage of FSU’s enviable acceptance rate into graduate programs and prepare yourself for a Masters or Ph.D. Our chemistry program focuses on active learning and real-world projects at a time when experience is becoming more important to landing a first job. We offer a huge variety of experiential opportunities, including faculty-led research projects and classes that foster hands-on learning, to make you stand out to future employers. Choose your focus in a traditional chemistry track, professional preparation or biochemistry. Design your own research project and create a presentation and portfolio to show off your knowledge, skills and abilities. Participate in ongoing research on topics including the active medical components in black cohosh plants, natural gas extraction from Marcellus Shale and new eco-friendly solvents for organic reactions. Perform experiments in state-of-the-art facilities to get the most out of each and every lab. FSU chemistry students work with instruments and technology typically reserved for graduate student use only at other institutions. Showcase your work at conferences like the American Chemical Society National Meeting & Exposition or the FSU College of Liberal Arts and Sciences Undergraduate Research Symposium. Relax at registration time, knowing you’ll get into the classes you need. FSU strives to have no waiting lists for General Chemistry courses, which can fill quickly due to the many programs that make use of their solid, foundational content. Excel in our newly redesigned General Chemistry I course, which now implements more student-centered, active learning and produces students who outperform their peers in the same course nationwide. Meet other Chemistry students and join in great events with the FSU Pre-Med Society or the Student Members of the American Chemical Society (SMACS). Get to know fellow students in the natural and health sciences and experience the strong relationship between chemistry and biology. Our biochemistry concentration connects students with cutting-edge science where chemistry, biology and medicine meet. Prepare for studies beyond your bachelor’s with a chemistry department that excels at placing students in graduate programs. A vast majority of our grads take on additional studies with pharmacy schools, medical schools and PhD programs in chemistry or biology. Put lessons into practice with small lab classes that allow professors to interact with every student in the room, every period. Courses are taught by doctorate faculty, not teaching assistants, a common practice at many schools. Learn from professional chemists who have won teaching awards, developed new ways to synthesize compounds and published work in scientific journals like the Journal of the American Chemical Society and Organic Letters. Take part in research projects under the guidance of your own teachers. All FSU chemistry professors sponsor student participation in projects started by both students and faculty. Computational Techniques in Chemistry – Exploration and use of the basic tools and methods for solving chemical problems. Students use the LabView programming platform to develop their own virtual interfaces (VIs) for instruments, and then use these VIs to customize use of the instrument to run their specific experiments and collect and process data in ways that the instrument may not originally have been designed for. Research Methods in Chemistry – Problem solving in organic synthesis, including purification and analysis, using modern methods and instruments. Students develop and perform their own research projects, including literary research, proposal writing, study design, experiment conduction and result analysis. Students present their work to the campus community and analyze safety issues and environmental impact. Biochemistry II – Metabolic processes and their conservation among widely divergent organisms. Cell processes, their interrelation and regulation. Biochemical techniques and their applications to a variety of current biological problems. Find out more about Frostburg State University’s chemistry program requirements (PDF). A degree in a chemistry field can lead to many different occupations, including jobs in food sciences, medicine/pharmacy, biochemistry, chemical engineering and forensics, just to name a few. Prospects for chemistry careers vary based on sector (government, academia or industry), level of education and specific field. Biomedical chemists, for example, are expected to see significant growth in employment as aging generations live longer and create more demand for medical innovations and supplies. For more information, visit http://www.bls.gov/ooh/life-physical-and-social-science/chemists-and-materials-scientists.htm (U.S. Government Occupational Outlook Handbook). 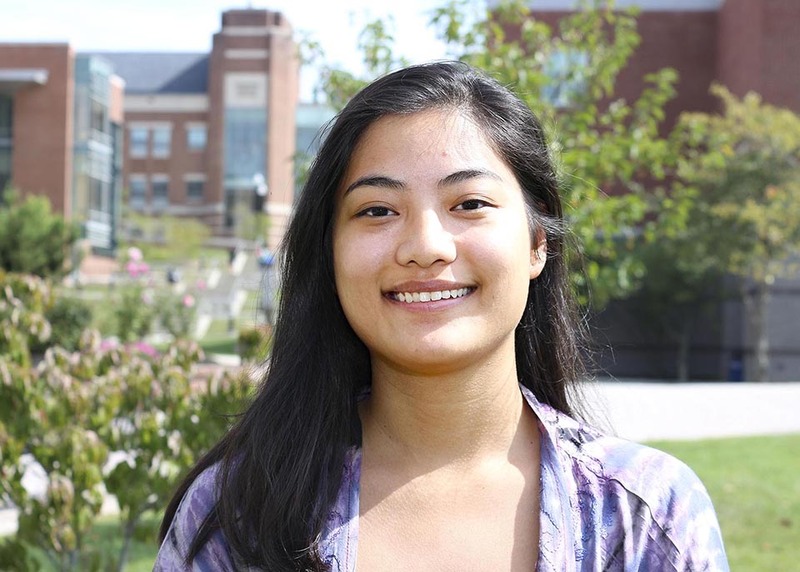 Read about Shanna Marcelino's internship experience using a gas chromatography mass spectrometer to analyze beer.